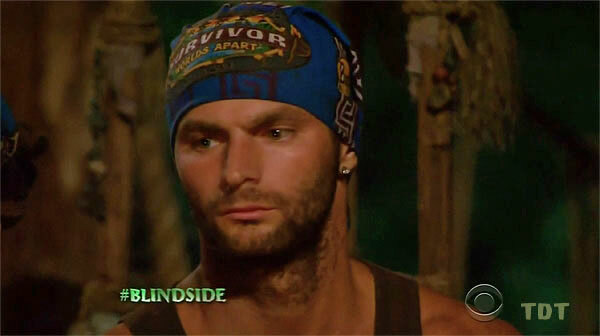 It's Max Dawson's birthday, and perhaps yours too as we're back to break down the past three episodes of Survivor: Worlds Apart. We bid farewell to the much-hyped professor, the not-at-all-hyped hairstylist, and Joaquin, while looking back to the swap and forward to the merge; we also deliver another petty and lengthy strategy debate, musings on how racism is handled by Australian radio hosts TV producers and their power in crafting our perception of contestants, and a large helping of vegetarian propaganda. All that and more on this week's show, available below, here, or on iTunes here. With Dom back from assisting Benedict Cumberbatch in thwarting criminal masterminds, we return to break down a pre-merge episode of Borneo Episode 3 of Worlds Apart. Is Tyler the faceup winner or are the editors just Josh-ing us? Can Shirin recover or is she as fucked as that monkey? And whose spots are most enviable as we embark on God's true gift to Blue Collar: the swap? All that and more when you listen below, here, or on iTunes here. With Dom out covering the weekend shift at the gates of Buckingham Palace (probably), our old friend AJ Van Gilder sits in to discuss the latest goings on at Jeff Probst Jonestown. What's wrong with clothing? What factors determine whether or not to split the vote? What will the fallout be at No Talent Collar beach now that Will has made his intentions known? And why do the editors want to murder Jenn's family and pets? All that and more when you listen below, here, or on iTunes here. Last Wednesday the hype train finally reached the station and today we're back to take a closer look at what was certainly the best a decent season premiere. Locks or knots? Five, ten, or fifty? What should Carolyn be considering with her hidden immunity idol? Can White Collar let Joaquin make the swap? And is Rodney actually doing a good job? All that as well as the correct answer to what color that goddamn dress is when you listen below, here, or find us on iTunes here.